We've created some great DIY products to assist mortgage brokers to apply for an Australian Credit Licence and to comply with NCCP requirements. These products adhere to risk management and regulatory compliance standards and you'll have everything you need. If you are short of time and would like to get on with writing businesses, QED can do it for you. 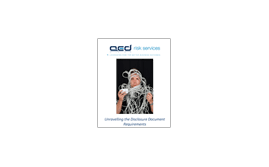 We have a range of services to help you navigate the regulatory compliance minefield, but we'll give you whatever combination of these services you want - at QED Risk Services, we are all about your business. Please call us 1300 817 662. 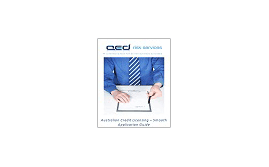 QED CompliFast is an online compliance program to ensure 100% NCCP Compliance. It provides 8 MFAA CPD Hours per year, it's easy to use and will give you the confidence that you are meeting all your ASIC obligations, not just some of them. If you are a self-sufficient business person and prefer to create your own policies, QED Risk Services' ACL Kit is the perfect partner for you. The Kit will provide you with all the information you need to successfully submit your own ACL application with ASIC, as well as all the templates for creating the required policies and procedures that ASIC will likely ask for from you during the application process. This simple, no-nonsense, 3 page guide walks you through what the requirements are for each document and the timing of when you need to provide them to consumers. This guide focuses mainly on finance and mortgage brokers, it's concise and to-the-point. Just what you need to relieve yourself of the confusion! The best $40 you'll spend this month for sure!! 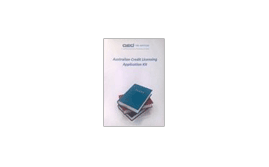 Whether or not you have used QED Risk Services' ACL Application Kit to make your preparations for Licensing, you can get amazing insights to the actual ASIC processes by benefiting from QED's experiences in lodging applications for their full service clients.